The paved and grassy parking areas at The Casements will be reserved for our guests displaying appropriate Handicapped Parking tags. 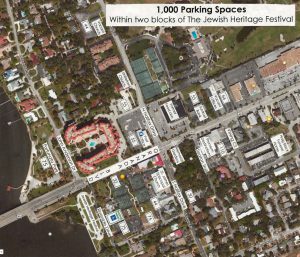 Besides parking at The Casements, there are nearly 1,000 parking spaces within two blocks of the Festival venue. Please see the map below for possible parking areas. Numbers refer to the amount of parking spaces in each area.